Areas Served by Johnny Bugs Pest Control on the Gulf Coast of Florida include Manatee, Sarasota, and Charlotte Counties. Most notably, our pest control service is always pet friendly and odorless. Rest assured we will solve your pest problems using the least toxic means available. We offer a half-hour arrival window and guarantee our treatments for a full 90 days, therefore if we have to come back for any reason, there will be no extra charge! Southwest Florida is home to a myriad of pests. Many species of ants and cockroaches share our home state of Florida. Subsequently, each of these places require special attention. Most notably, living close to the water will increase your chances of finding large cockroach populations. Areas served more inland like North Port and Englewood tend to have more ant pressure. Consequently, newer communities like Parrish have high rat populations when land is cleared for building. Punta Gorda hosts multiple canals and waterways that provide insect harborage. 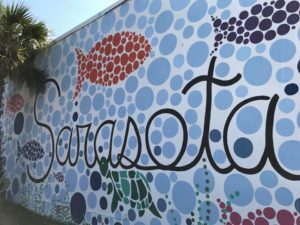 Yet places like Sarasota have communities that have been in existence since the days of circus fame. No matter where you live, it seems like paradise. We are happy to travel to your West Coast home and keep you pest free with our guaranteed quarterly pest control services!